We sat down with our new associate, Amanda Bond, to introduce her to our community and clients. Amanda graduated from the University of Miami School of Law and joined Levinson & Capuano from an immigration practice in Miami-Dade County. She spoke with us about her interest in family law, her past experience, what inspires her, and of course, her goals and plans for the future. Why are you interested in family law? Family has always been one of the most important parts of my life. Having witnessed divorce and other difficult issues that many families face, I have always had the desire to help parents, children, and members of the family unit through trying times. I became a lawyer because I wanted to help people, so family law seemed like a natural fit for me in that practicing family law would allow me to use my skillset to help families and advance a cause that I feel passionate about. Who inspires you to succeed? My mother has always been an inspiration. She is a therapist and specializes in marital and family issues. As a result of her background, I was raised in an environment with an emphasis on healing, communication, and family. I learned the value of listening and always being compassionate. In joining a family practice, my mother inspires me daily to apply her teachings to my own endeavors. What did you do prior to joining a family practice? Prior to practicing family law, I practiced immigration law, advocating for the rights of foreign nationals. I focused mostly on marriage and family-based immigration, domestic-violence-based asylum claims, self-petitions for victims of domestic violence pursuant to the Violence Against Women Act, waivers of inadmissibility based on familial hardship, and relief for unaccompanied immigrant children. How do you think your past experience has prepared you to help families? In an immigration case, the outcome often times alters the person’s life, as well as the lives and futures of their family members. These types of cases require client investment, dedication, and compassion—the same type of dedication and compassion that I now demonstrate to all of the families I work with as a family attorney. What are your goals as you move forward? I want to help families resolve their legal issues and begin the healing process. I hope to make the legal process easier and less complicated, while helping clients reach their legal goals as expeditiously as possible. 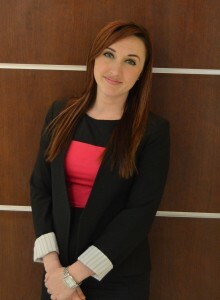 Levinson & Capuano is thrilled to have Amanda on board advocating strongly for our clients. To contact Amanda, please email her at Amanda@BrowardLegal.com or call (954)703-2110.